Sephora has a hot new freebie perk for Beauty Insiders! 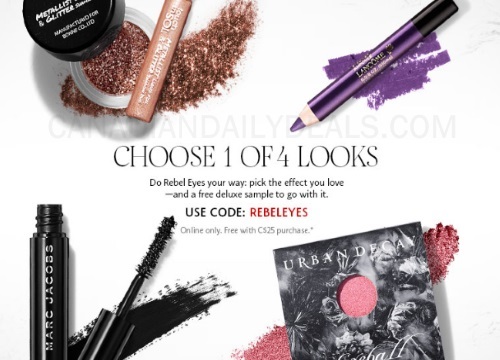 Get a Free Rebel Eyes Sampler Set with 1 of 4 deluxe samples! Offer available online only with purchase of $25 or more. I wish they offered these in-store too. Offer available while quantities last. Enter the promo code REBELEYES to add this sampler to your shopping cart for free!